Since 1963, Ed Bell Construction Inc. of Dallas, Texas has been a concrete paving enterprise in the Dallas/Fort Worth metroplex. 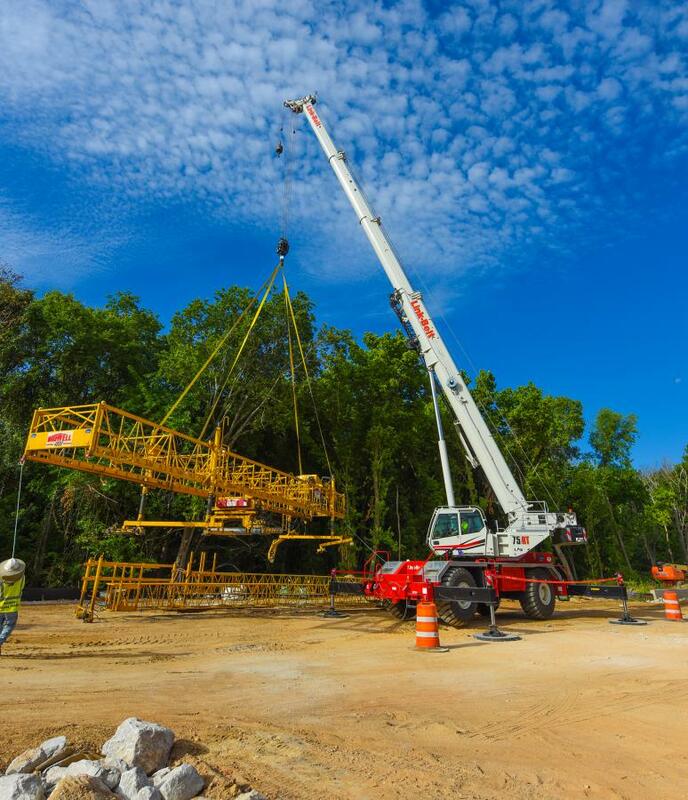 In the early 2000s the company expanded into bridge work, utilizing an existing fleet of 50-ton rough terrain cranes and heavy haul transport trailers to mobilize their crane fleet to its fullest extent for both paving and bridge construction. “Our equipment doesn’t get hauled to a job and stay there for the duration of the job. 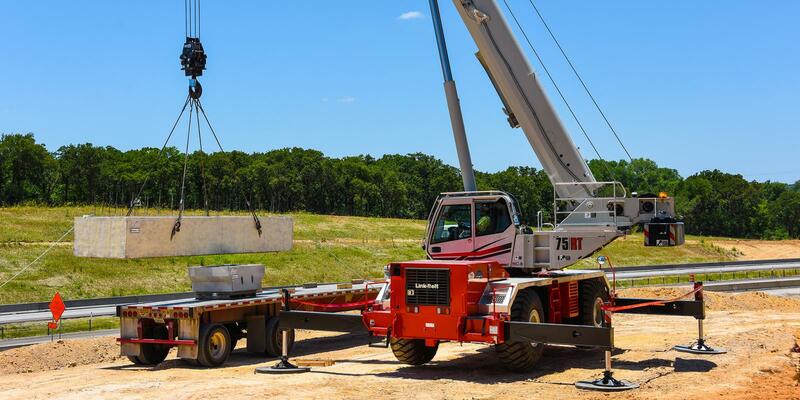 They get hauled to a job with our own heavy haul trucks, complete the assigned task and leave for the next project,” explained Structures Manager at Ed Bell Construction, Terry Killingsworth. 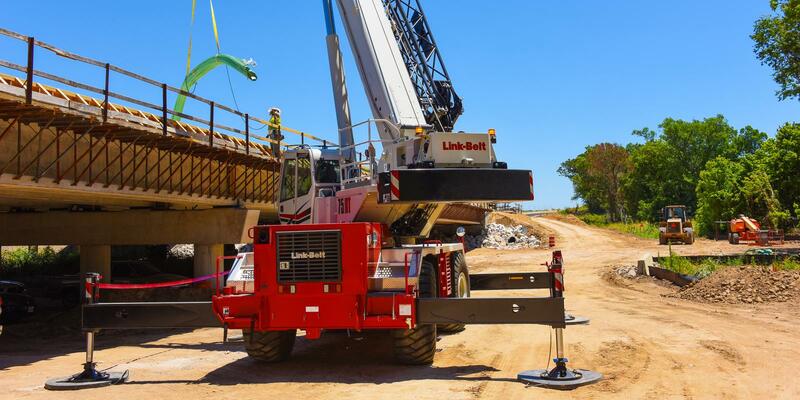 Ed Bell Construction made purchase of a Link-Belt 75-ton (70-mt) 75RT in second quarter 2018 to begin modernizing some of their aging equipment and handle the demands of larger, heavier lifts in modern road and bridge work. 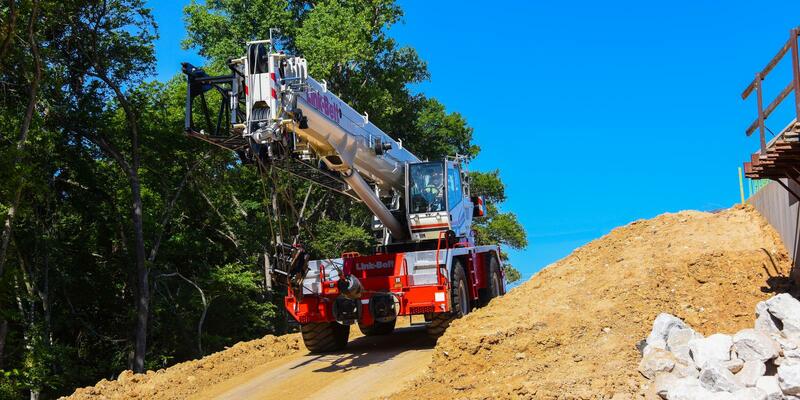 “Getting a bigger, 75-ton crane with basically the same footprint as our older 50-ton rigs gives us better capabilities without retraining our current operators who are all certified up to 75-ton,” Killingworth said. A $30 million Interstate 20/Center Point Road Interchange project is a multi-year project received by Ed Bell Construction that includes new exit and on ramps and three new bridges, as well as redirection of three miles of two-way frontage roads for improved mobility and safety. The Link-Belt 75RT lifts 6,000 lb. (2 721 kg) bundles of rebar, large concrete form panels, concrete buckets, and drainage culverts along both sides of Interstate 20. Additional job requirements for the 75RT include placing concrete finishers up and off of finished concrete bridge decks, and new Texas Department of Transportation traffic barriers placed along right-of-ways that weigh 23,000 lbs. (10 432 kg). Operator Gabriel Corral is quick to explain that he likes the tilt cab because it eases the stiffness in his neck from working on high bridge projects all day. He finds the crane is smooth and has a nice, quick swing, and he has already taken advantage of both boom modes and the fine metering system. When working around men with a heavy load, he explained that the slowest mode is what he uses to make sure his crew working around the lift will remain safe. He also likes being able to change fine metering control positions to which ever operator is using it. “I like that the machine’s LMI system has a working memory so when it is left it remembers all of your settings, and picks right back up where you left it,” Corral concluded.